Ok, full disclosure. 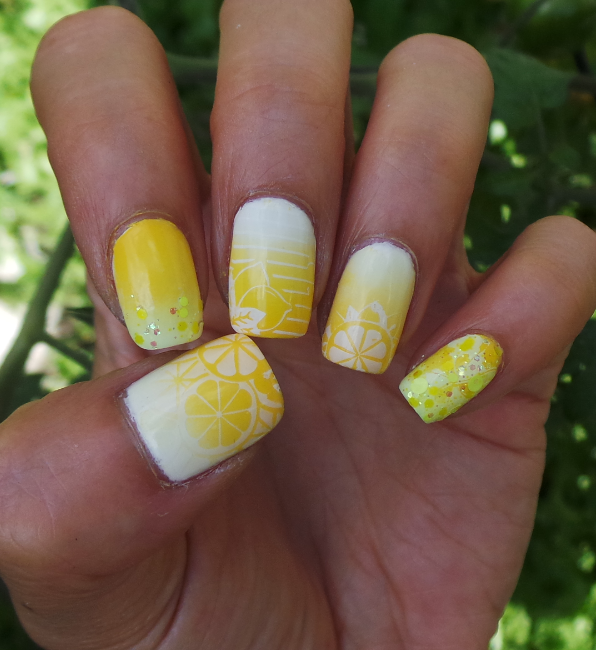 Part of the inspiration for this mani was just a total and complete cop out. I know it was only day 3, but I felt like my skin was already getting burned out from all the acetone. Til now I was painting both hands. 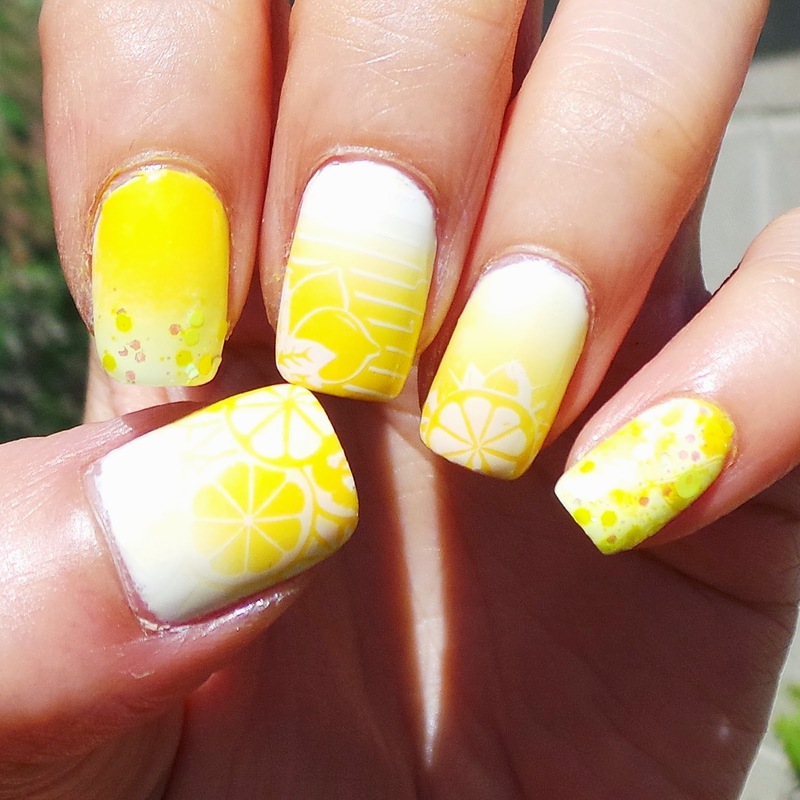 For this, I decided my Orange Citrus mani went over so well, I would do a Lemon Yellow mani and not have to repaint my right hand as it would still be a cohesive look. WHOOOAAAAA! I don't really know what I was thinking when I was editing this photo, the details are way too blown out to really see. What also fails in this mani is the white base. My orange mani really worked because the base wasn't white, so when you stamp with white there's more contrast (duh). The white base is Sally Hansen (Xtreme Wear) White On, and then Sally Hansen (Insta-Dri) Lightening. My index and pinky are also featuring one of my favorite glitter toppers, Elevation Polish Huangshan. The images are from MoYou Tropical 08 and Bundle Monster 308. Silly me. I should have edited this shade shot instead. buh.